(NaturalNews) In matters of health and disease prevention, few things strike as much fear for many people as a diagnosis of cancer. This is especially true in the case of pancreatic cancer, a particularly aggressive form of the disease that has a survival rate of less than 5 percent after five years from diagnosis. Extensive research studies over the past 10 to 20 years have clearly shown that many forms of cancer can be prevented by following a natural food diet that eliminates deadly hydrogenated and trans fats and virtually all sources of sugar and refined carbohydrates as well. In the case of pancreatic cancer this lowers the burden on the pancreas to secrete high levels of insulin and other digestive enzymes that lead to reduced function of the organ and eventually to chronic disease. In addition to diet, there is an ever growing body of work that demonstrates how natural compound extracts including curcumin, resveratrol and EGCG from green tea can specifically target cancerous cells to increase oxygenation and restrict blood flow that help prevent and even treat certain forms of cancer. A research team from the Los Angeles Biomedical Research Institute has released the results of their work in the journal, Metabolomics, revealing how an active component of green tea disrupts the metabolism of cancer cells in pancreatic cancer and offers an explanation for its effect on reducing risk of cancer and slowing its progression. This research is among the first to explain how natural compounds interact with cancerous cells to help prevent or even reverse tumor progression. The study author, Dr. Wai-Nang Lee and his team were able to demonstrate how EGCG, the bioactive component found in green tea, is able to alter the metabolism of pancreatic cancer cells by suppressing the expression of lactate dehydrogenase A or LDHA, a critical enzyme in cancer metabolism. Researchers explain that metabolism in cancer cells determine how the cells extract energy and are involved in chemical reactions allowing for the rapid development and out of control progression that is characteristic of the disease. Using advanced metabolic profiling techniques, Dr. Lee and his team found that EGCG disrupts the rate of turnover of molecules, known as "flux", through a metabolic pathway in pancreatic cancer cells. 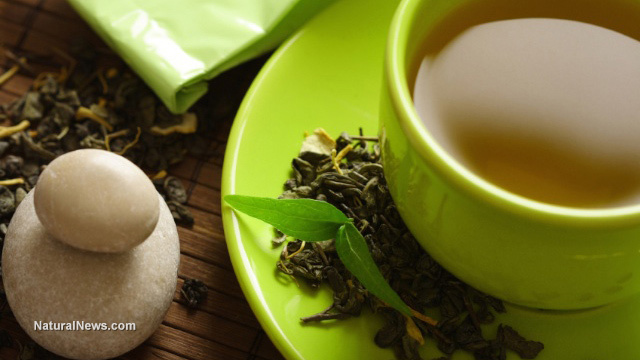 They found that EGCG from green tea or supplementation reduced the risk of cancer by suppressing the activity of LDHA, effectively disrupting the metabolic function in cancer cells. The scientists concluded "This is an entirely new way of looking at metabolism... it is no longer a case of glucose goes in and energy comes out. Now we understand how cancer cell metabolism can be disrupted, and we can examine how we can use this knowledge to try to alter the course of cancer or prevent cancer." While this study examined the specific mechanism of the green tea compound EGCG and pancreatic cancer cells, an abundant body of research shows that many natural flavanols and catechins found in unrefined foods help to prevent a host of potentially fatal disease conditions.